We encourage you to contact us at Briter Dental whenever if you are looking for the best dentist or cosmetic dentist in Katy or interested in any dental procedures, such as general dentistry, cosmetic dentistry, root canal treatment or endodontics.Briter Dental is open Monday through Saturday (Yes, we actually do have Saturday appointments), with hours that can accommodate most any schedule. We know that your time is important, and we work to ensure that your visit happens as quickly and professionally as possible. We have a play area to keep your kids entertained while you get your dental treatment. 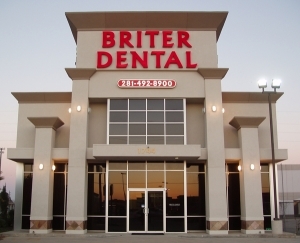 Briter Dental dental team consists of two dentists and an orthodontist, a play area for children, and a calming and relaxing atmosphere, making our office easily accessible at 1744 Fry Road, Houston, TX 77084! Briter Dental serves the communities of Katy, Park Row, Cinco Ranch, Houston-Sugar Land-Baytown Metro Area. Our office is open Monday through Saturday, (yes, we actually do have Saturday appointments) with hours that can accommodate most any schedule. We know that your time is important, and we work to ensure that your visit happens as quickly and professionally as possible. Thank you for choosing us to be your dental health care providers in the Katy and Houston area. We provide comprehensive dental for the communities of Katy, Park Row, Cinco Ranch, Houston-Sugar Land-Baytown Metro Area. Call Briter Dental at (281) 492-8900 or by fill out our Contact Us form.